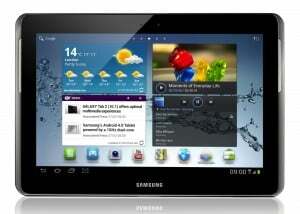 The carrier branded version of the Galaxy Tab 2 10.1 tablet by T-Mobile has received another Android 4.1.2 update. This time around, the update comes with great news; it will enable LTE support on the tablet. The tablet has the LTE radio, it just wasn’t enabled before. Update T779UVTMF4 will arrive starting with July 15th through OTA and Kies, and the only improvement it is said to bring is the LTE activation. If you haven’t received the update just yet, the official log says that it will continue to roll until July 19. As usual you should have an unrooted device, with at least 50% battery life and preferably a WI-Fi connectivity. The update is 69.8 MB large. After the update the only thing that stays between you and LTE connectivity is finding the 4G network from T-Mobile.